The CAPSI Local election voting will be opening on Monday November 27 at 11:59 PM and closing on Thursday November 30 at 11:59 PM. I joined CAPSI mostly because when I met Ada for the first time she was so excited about telling me about it and advocating for it, that it was the only organization I could remember the name of in the first weeks of school! Now that I am part of CAPSI, I understand why she was so excited. 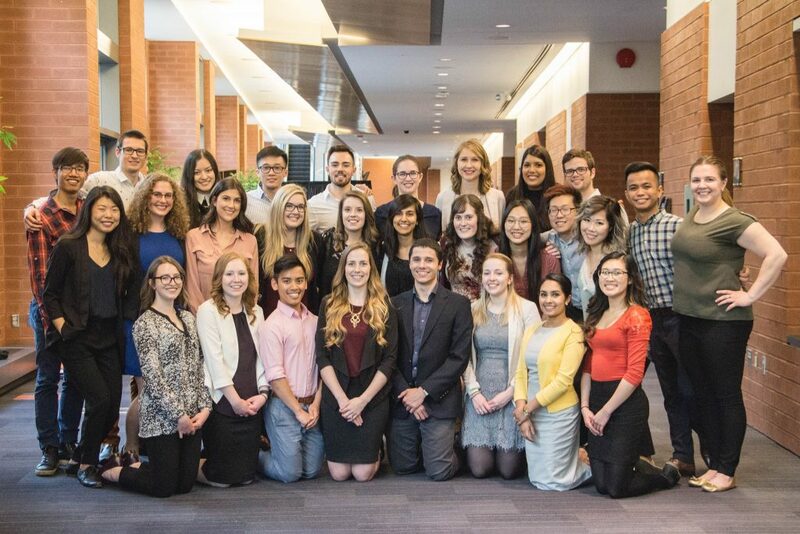 There are so many amazing opportunities that CAPSI gives students (from competitions and education to Pharmacists Without Borders and international student exchanges) and the people involved are awesome. I am applying for the position of Junior Representative because in everything I do I want to get as deeply involved as possible. I believe I have a lot to give to the position in helping advocate for the organization and making sure it runs smoothly. I’d really love to be given this opportunity to step a little out of my comfort zone and push myself to learn more about the operational side of an organization. I love having responsibility and am a firm believer in being involved in more than just my studies. 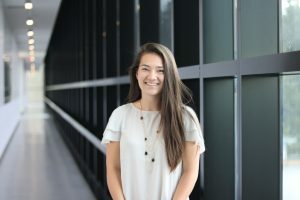 Hopefully I have shown, in my short stint as first year rep, that I’m passionate about getting involved in CAPSI and would be a good representative for UBC’s division. Thank you for your consideration! 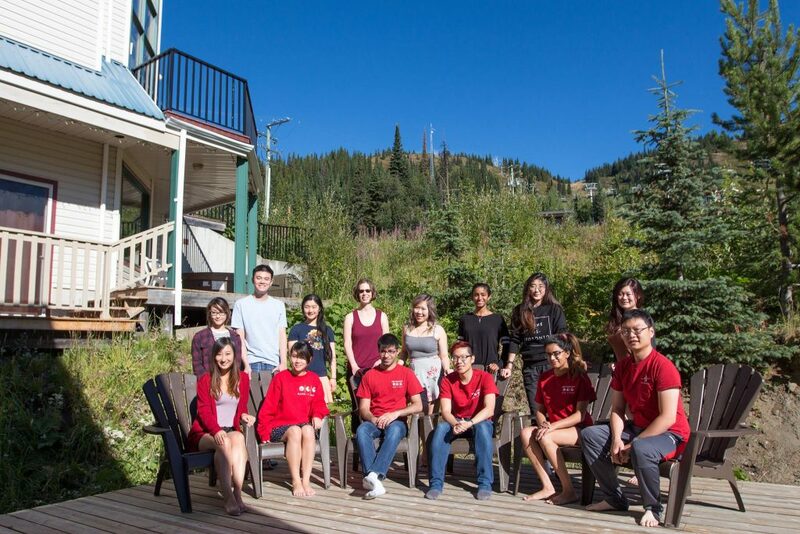 CAPSI UBC is now accepting applications for the Junior Representative position. The applicant must be a first year student. The Junior Representative position will be a 16 month commitment (December 2017 – March 2019), followed by a transition into the Senior Representative after the March 2019 elections provided the Junior Representative passes a vote of confidence. The Senior Representative position will be a 12 month commitment (April 2019 – March 2020). The election will be held in conjunction with the Annual General Meeting on Monday November 27 in room PHRM 1201 at 5:30 PM. Candidate applications are due on November 24th, 2017 by 5:00PM PST. Late applications will not be accepted. The CAPSI National elections are currently closed. Congratulations on your decision to become a candidate for a position on CAPSI National. Outlined below are instructions that applicants are recommended to follow to ensure a full understanding of the position and the submission of a complete elections package. Review the CAPSI Operating Manual, paying appropriate attention to the position portfolio you are running for and the elections procedure. The most recent version of the CAPSI Operating Manual can be located on the CAPSI website. Review the goals of the current position holder on the CAPSI website. If you are a candidate for the IPSF Liaison, President Elect, or Vice President Communications, it is recommended that you review the goals for each position. Contact your local representatives to alert them of your intentions to run for the position. Direct any questions related to the election process or related to CAPSI as a whole to the CAPSI National Executive Secretary or your local representative. Contact the current position holder in order to ask questions, obtain position specifics, and gain insight and understanding into short and long-term goals for the position. If you are a candidate for the IPSF Liaison, President Elect, or Vice President Communications, it is recommended that you contact each position holder. Print a Nomination Form and obtain signatures from three CAPSI members. This form is attached at the bottom of this page. Print a Confidentiality Form, sign it, and obtain the signature of your local representative. This form is attached at the bottom of this page. Letter of Intent: A letter of intent should indicate the candidate’s qualifications for the position, reasons for seeking the position, and position goals of the nominee. The letter of intent should be no longer than one page single sided, in Times New Roman, size 12 font, and 1 inch margins all the way around. Any additional pages will not be recognized. The letter of intent will be posted on the Member’s Only Portal. Resume: The resume should be no longer than two pages single sided in Times New Roman, size 12 font, and 1 inch margins all the way around. References are not required. Any additional pages will not be recognized. Candidate Biography (optional): Maximum 250 words for display on the Member’s Only Portal. Any additional words will not be recognized. Headshot Photo (optional): To be displayed on the Member`s Only Portal. Portfolio (CAPSIL Editor and Webmaster Only) (optional): Portfolio containing a 1-2 page sample layout created from the applicant’s choice of software program. Prepare a speech based off of your letter of intent. This will be filmed by an appointed a local representative. The candidate will be allotted one opportunity only to record their speech and questions. Three questions will be asked of the candidate following their speech. A time of five minutes shall be allotted for the candidate`s speech and one minute per question will be allotted for the candidate’s answers. Further details can be read on the Videotaping Protocol. Communicate with your local representatives to ensure all documentation (resume, letter of intent, optional biography, optional headshot, optional portfolio, nomination form, and confidentiality form) and the filmed video has been submitted to the Executive Secretary. Candidates are not required to be present at PDW 2018 during the elections procedure. Candidates can expect a call from the CAPSI President on the last day of PDW 2018 outlining the results of the election. Candidate applications (all of your documentations and video) for the 2018-19 term are due to the Senior Representative (ubcsr@capsi.ca) on November 24th, 2017 by 5:00PM PST. Late applications will not be accepted. Questions can be directed to the Executive Secretary (secretary@capsi.ca). Best of luck to all candidates!